Aesthetic radiofrequency is a comfortable, non-invasive method that reduces facial aging, often caused by daily stress and bad habits and lifestyles. 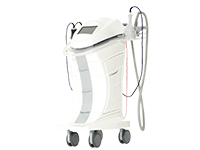 Through the use of the radiofrequency device for face,patients who receive a treatment will soon have a younger and brighter skin. Radio frequency is suitable not only for those who want to correct the facial imperfections, but also for those who want to have an anti-aging treatment for the body and tone the areas most affected by skin laxity. 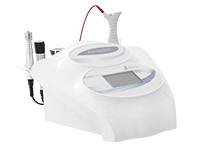 Radio frequency face lift machines use radio waves which stimulate the fibroblasts and the production of collagen and elastin. Thanks to the heat generated, the fibroblasts in the epidermis accelerate the production of new elastin and collagen in order to achieve a scientifically proven facial filler and lifting effect. Our aesthetic radiofrequency devices , are designed to provide effective anti-wrinkle treatments, thanks to the synergy of multiple technologies used simultaneously. The Panestetic professional equipment are developed thanks to a careful and constant research carried out in the Panestetic Laboratories. Our main objective is to make intuitive and extremely innovative facial devices. I agree to receive information, newsletters and promotions.